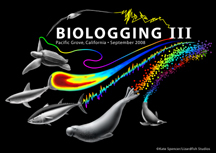 Barbara Block and Dan Costa, principal investigators of Tagging of Pacific Predators, a Census of Marine Life project, are hosting the Third International Biologging Science Symposium. The gathering will take place from September 1-5, 2008 at the beautiful Asilomar Conference Grounds in Pacific Grove, California. 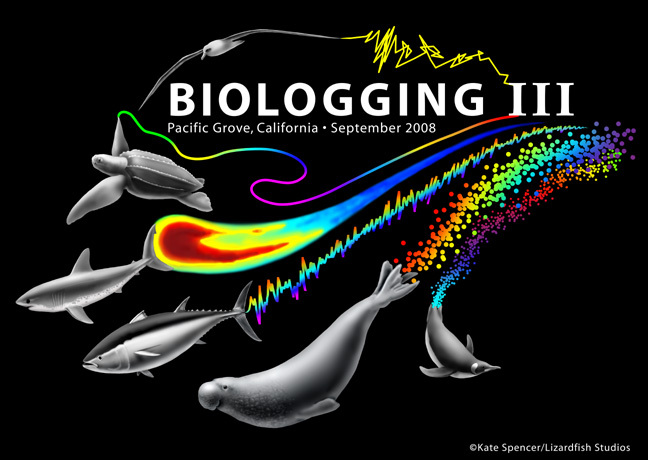 The Third International Biologging Science Symposium program will feature plenary sessions by keynote researchers in a variety of biologging fields, including Jerry Kooyman, Graeme Hays, Julian Metcalfe, David Righton, Peter Tyack, and Paul Ponganis. Symposia sessions and posters will be focused on advancement of biologging technology, animal behavior, environmental integration, modeling tagging data, monitoring physiology and climate change. In addition, we will have a session on how biologging data can be used for application to conservation & management. This symposium follows on the Second International Biologging Science Symposium held in June 2005 at the University of St Andrews, Scotland, and the First International Biologging Science Symposium held in March 2003 in Tokyo. Please use this site to view the symposium program, register, and make arrangements for your accommodations. If you need any more information, just leave a comment here, or email TOPP administrator Don Kohrs, at dkohrs@stanford.edu.